Thunder Bay Therapist: Christina D. Long - Therapist P7C 1S1. Christina D. Long, R.P., M.A. Send A Message To Christina D.. Welcome and thank you for checking out the psychotherapy and counselling services offered at TeamBuild Innovations! 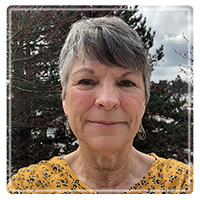 I am a Registered Psychotherapist dedicated to providing confidential and compassionate support therapy and support to help individuals and couples move toward personal growth and develop strategies to improve their relationships and quality of life. I am a member in good standing of the Ontario College of Registered Psychotherapists with a Master's degree in Counselling Psychology, and over 18 years combined experience providing support group, individual, and couple/marriage counselling to people from various cultural backgrounds. I am committed to treating clients as unique individuals and to help them resolve their personal struggles, while listening non-judgmentally and showing unconditional acceptance and compassion. I believe in building a healthy therapeutic relationship with clients that will allow them to choose the direction of counselling and explore their struggles, in a safe setting. My approach to counselling emphasizes that people possess the resources they need to grow in self-knowledge and overcome the obstacles and challenges that stand in the way of personal growth and healing. In addition, I strive to work collaboratively with clients to help them develop personal goals for counselling that will assist them to achieve greater wholeness and well-being (relationally, emotionally, and mentally, spiritually and physically). During my education and training to become a psychotherapist, I was exposed to a variety of counselling methods that offer different ways of understanding how people's struggles develop, and how to help them find strategies to manage and improve the quality of their lives. My approach to therapy draws on family systems, humanistic and experiential, and cognitive and behavioural counselling methodologies, and allows me to tailor therapy to fit the individualized needs of clients. It takes a lot of courage to reach out and ask for help when the challenges of our daily lives are too hard to manage alone. Personal healing comes when we are willing to examine the feelings, thoughts and beliefs, behaviours and attitudes that contribute to our pain and suffering, and explore new ways of perceiving, thinking, feeling, and behaving, which can lead us to greater peace and happiness in our relationships with our selves, others, the world and God.